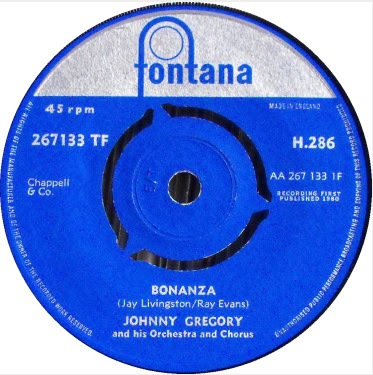 John Gregory (born John Gregori, 12 October 1924) was a British bandleader, arranger and composer. John Gregory, known to all his friends as Johnny, was born in High Street Camden Town in London on October 12th 1924. Johnny learned to play the violin when he was seven. He also mastered the finger style guitar which he taught himself and several other instruments. He later mastered the tenor sax also learned clarinet, trumpet, trombone and piano. He was the son of Frank Gregori, a bandleader at the London restaurant Quaglino’s for ten years. He worked in his father’s band at London’s Normandy Hotel, while he was still in his teens. By 1942 Johnny was studying with Alfredo Campoli which changed his musical life completely. Johnny had no formal training in arranging, just a natural aptitude. For him arranging was not the fulfilment of his ambition, which was to be an orchestral composer. Because money was in short supply his father couldn't afford the fees to send him to college during the war. To make up for this he used to go to Foyles and browse around the books on orchestration and was able to work the rest out for himself. He began arranging for the BBC Revue Orchestra which led to Lew Stones Band. Lew wanted more and from there it just escalated. He subsequently did arrangements for the great Geraldo, Ambrose, Maurice Winnick, Stanley Black, Edmundo Ross, Cyril Stapleton and many others. During the 1950’s Johnny decided to go freelance. He was beginning to get known by publishers and record companies. 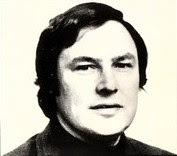 In any one week he would be working on arrangements for HMV, Decca, MGM and Pye, Somebody mentioned that Jack Baverstock, Artist and Repertoire Manager of Oriole and Embassy records, was looking for an MD. Jack called Johnny to meet him at Oriole in 1954. 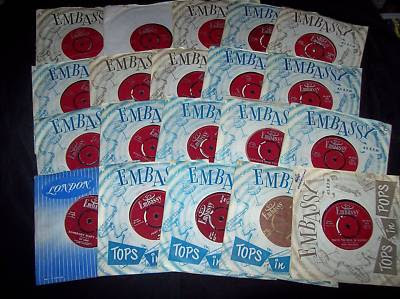 A new label was being launched, Embassy Records, an economy 78rpm product for sale exclusively in Woolworth’s. 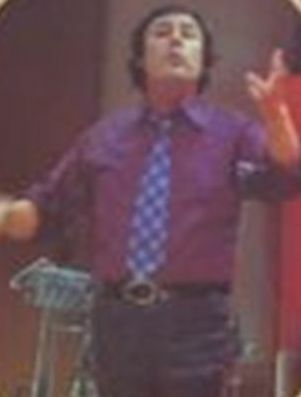 Johnny, and another musical director called Ken Jones were to provide the arrangements and Baverstock would direct the sessions. Many turned out to be better than the originals, and with a nationwide network of Woolworth stores to distribute them, they sold in their tens of thousands. Johnny was also working with EMI and Decca at that time and was known around the studios. 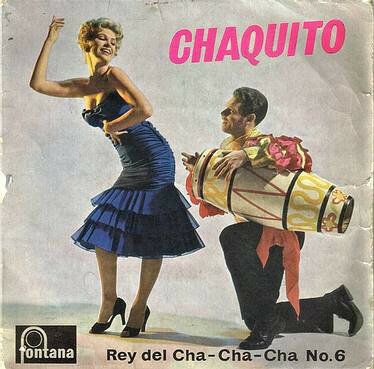 Johnny also created Nino Rico, a fictitious Latin American Orchestra leader, the precursor of Chaquito. A 10" LP was released on Oriole. 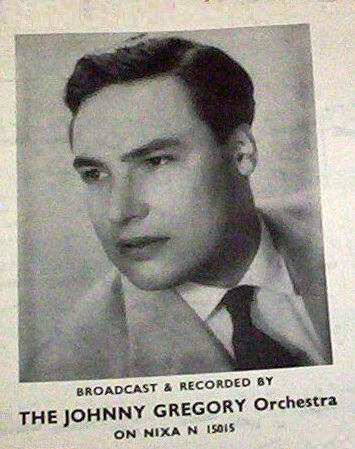 In 1956 Johnny began working with the Phillips label staying with them for over 20 years, also at that time he was the BBC Radio Orchestra’s principal guest conductor. When 101 Strings, the Living Strings, and other easy listening string groups became commercial successes, Philips turned to Gregory, who learned the violin as his first instrument, for help. Gregory's "Cascading Strings" gave their U.S. counterparts a run for the money on the U.K. market, and outsold them by a wide margin in several lucrative international markets such as Japan. He later reprised his talent for strings with the popular (in the U.K., at least) Moods Orchestral series. As a composer he has written the music for some 27 films, scored over 500 compositions and made over 2000 records which span the broad scope from light music, to Latin American, to Oriental. He scored several film and TV shows, including Serena (1962), Impact (1963), The Night Caller (1965) and Don't Drink the Water (1974). In 1976 he received an Ivor Novello Award for "Introduction and Air to a Stained Glass Window" and is generally recognised as one of the best orchestral and string ensemble composer/arrangers. Also during 1976. Philips closed, and work started to die out for most serious arrangers in the middle eighties. Johnny conducted the LSO at Filmharmonic 85 with John Williams and John Scott, and two Royal Film Performances in Leicester Square, and was presented to the Queen. He did one film in 1989, one in 1991, one in 1994 and the last in 2002. At one time that would be about a month’s work.